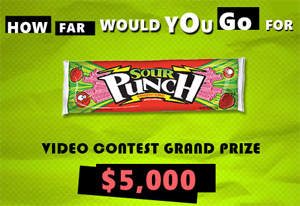 Tootsie Pops “How Many Licks” $50,000 sweepstakes! I love Tootsie rolls. Absolutely love them. I also like Tootsie Pops, but have pretty much always considered them a hassle because I have to wait so long to get to the delicious Tootsie Roll. Despite all the trouble, I’ve never passed one up. So, when some angel at work brought in a ginormous box of them, I was freakin’ thrilled. Free Tootsie Pops at work? Can this place get any better? Incidentally, yes, because when that box was gone, miraculously, another appeared. Back to the point of the story – the folks at Tootsie Roll are having a “How Many Licks” to get to the center of a Tootsie Pop sweepstakes. 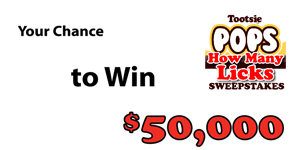 Enter to win $50,000 or free candy – I did! I’m not gonna tell you what my guess was because I don’t want to influence your guess, but I suggest you do a little experimenting yourself. I was less than successful and stopped at about 142 licks – how many can you do? What’s better than eating candy? Eating candy and supporting the fight to end kid’s cancer! It looks like WARHEADSÂ® has teamed up with St. Baldrick’s Foundation and is sponsoring the organization’s second annual t-shirt design contest. In case you’re not familiar with the organization, St. Baldrick’s Foundation raises tons of money during its fund-raising events and donates it for childhood cancer research. Brave folks who shave their heads bald stand in solidarity with kids fighting cancer. As if supporting a worthy cause wasn’t enough, the winner of the t-shirt design contest will have his or her design on some 60,000 people donning the shirts for head-shaving events. To, ahem, sweeten the pot more, WARHEADSÂ® is giving the winner a 25 oz bag of WARHEADSÂ® Extreme Sour Hard Candy, a WARHEADSÂ® t-shirt, bandana, beanie and water-bottle. 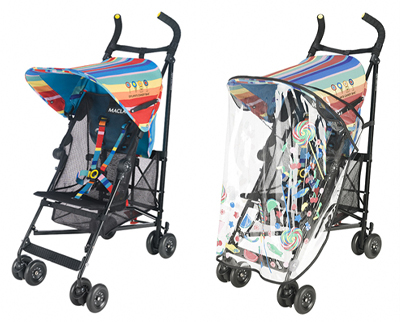 Oh, and there a super sweet $250 cashola prize for the winning designer and a $250 donation will be made to the Foundation in the designerâ€™s name. WARHEADSÂ® thinks we’re all winners so the second and third place submissions will also receive the WARHEADSÂ® prize pack and their designs will be sold in the St. Baldrickâ€™s CafePress store. So, check out St. Baldrick’s Foundation and thank WARHEADSÂ® by buying their candy because we should encourage the positive things corporations do, too.